In February I picked fruits of beer writing during the last six months. Within a week, my articles on sahti farmhouse ale appeared in both Zymurgy Magazine (American Homebrewer Association) and Olutposti (Finland’s Beer Society). Zymurgy’s article is what I would say a definitive introduction to sahti, and my best effort so far. It was nice to have SAHTI – FINNISH YOUR BEER in the cover of a major homebrewing magazine with a circulation of over 46,000. 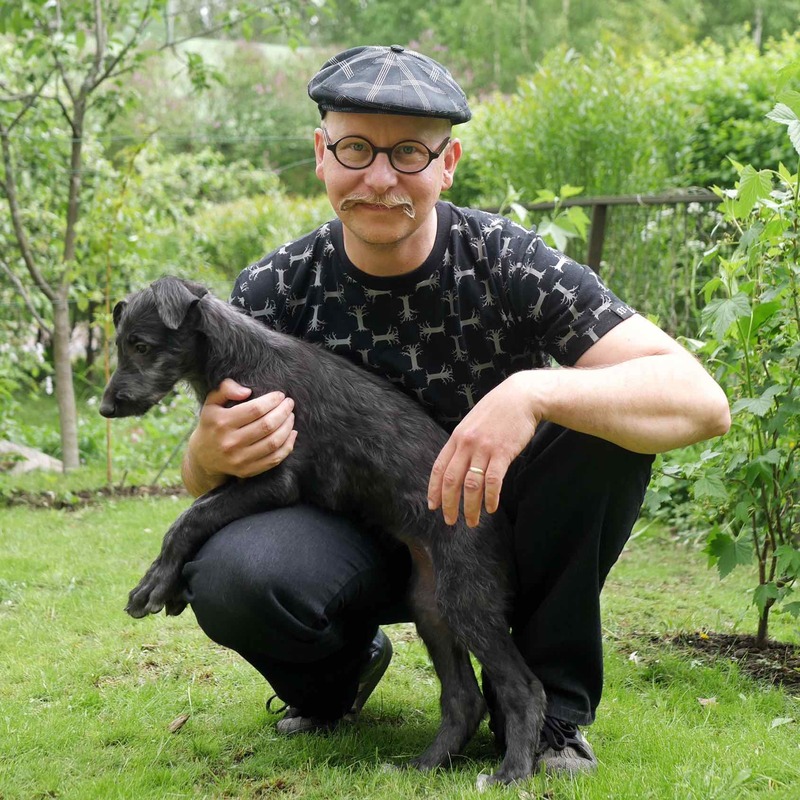 The article includes a recipe of Olavi Viheroja, the most triumphant sahti brewer in the history of the of the Finnish National Sahti Competition. As far as I know, his recipe hasn’t been published before. When I observed Olavi’s brewing in August 2018, it was probably the first time when his recipe was written down. As a side note, I have another great sahti master’s recipe lined up for Brewing Nordic. Olutposti’s article was entertaining documentation of an eight-day road-trip to sahti heartlands in August 2018. Since I was traveling with experts specializing in farmhouse brewing traditions, I simply had to write for the Finnish audience what these experts have to say about sahti. I got very good comments from beer writers Lars Marius Garshol (Norway) and Martin Thibault (Canada), as well as brewmaster Amund Polden Arnesen (Eik & Tid, Norway). To put it shortly, although similar alive traditions of farmhouse beers have remained elsewhere in the Nordic and Baltic countries ( koduõlu in Estonia, gotlandsdricke in Sweden, maltøl in Norway, the kaimiškas beers of Lithuania), Garshol, Thibault and Polden were surprised about the marked and well-established role of sahti in the Finnish culture. Finns know their sahti, and also the brewers know each other fairly well. On the other hand, our guests were surprised of how similar sahti brewing process was across the 13 municipalities we visited. It seems the well-established culture has also lead to some homogenization of traditions. During the trip, we also talked about a lot about the main ingredients of sahti (baker’s yeast, malt, and juniper), and some of that talk was documented in the article. Thibault has documented some of the sahti adventures at his web site Les coureurs des boires (in French). In February I completed another long term goal, giving a course on traditional brewing for Finnish re-enactment and history enthusiasts, Pirkkalan Muinaisaikayhdistys. I have taught brewing sahti and modern beer before, but now I was testing the waters of how to pack hands-on brewing, history, and tradition and into an easy-going six-hour course. The challenge is that traditional sahti brew day usually lasts around 12 hours. I think the concept worked well, and surely more traditional brewing courses will follow. My next malty endeavors include brewing with Nordic farmhouse brewing techniques purely for the sake of flavor, instead of following the tradition. How does raw ale porter with kveik and hop tea sound? My sahti article in Olutposti magazine reported to Finnish beer geeks how international beer experts view sahti. I have been neglegting the News section of Brewing Nordic, but now I realize that the good old newsletter can be a third very noteworthy channel of information, besides the site itself, and its Facebook and Twitter pages. It seems that many of the interesting beery things I do neither end up in the Brewing Nordic articles nor in social media. Therefore, I am now committed to write this kind of short news once a month. You can sign up at Brewing Nordic site to receive the news to your inbox, or read them from the News section of this site. I will announce the news also on Facebook and Twitter. In the last four months I have published very little, but I have collected a lot of fine data, which will show up later at this site. In June I toured farmhouse malthouses and breweries of Norway, where I saw five farmhouse maltings in Størdal near Trondheim and I participated a brewing session in Hornindal. The header image of this post is from the tour, making of juniper infusion in Hornindal. Articles about malting in Størdal and a brewing in Hornindal are in the making, but it might take few months to get them published. You see, long Nordic summer days are good for collecting stories, and the inspiration to write about them comes with shorter and colder days of autumn. In the meantime, check this cool video from the Hornindal’s brewing session. I have been asked for true farmhouse sahti recipes. Well, I have few, but the recipes are reserved for a publication elsewhere. Nevertheless I’m scanning for opportunities to document sahti brewing sessions. I’m for example trying to make a deal with a 90-year old lady who still brews sahti three times a year. She already turned down an offer from the national Finnish television, but hopefully I have better luck. In the meantime, check the article Sahti Recipe and Farmhouse Brewing Tips, a practical gateway for brewing Nordic farmhouse ale. At the moment the people in Finland are preparing for the midsummer Festival. People are stocking up with food and beer, and prepare to go by the lake and have sauna. This summer solstice is the second most important season for sahti, after winter solstice (Christmas) of course. Most traditional brewers make sahti for the midsummer. I have a good stock of sahti, but this year I’m not going to spend the solstice by the lake. Instead, we just got a new puppy, and I will start to train her to be a new brewdog of the house. Our new brewdog, Scottish Deerhound Freya. Without knowing my writings, the breeder named her Freya, according to Norse goddess. Photo by Mari Varonen.